You only need 4 ingredients for the most amazing, melt-in-your-mouth BBQ Pork Sandwiches! 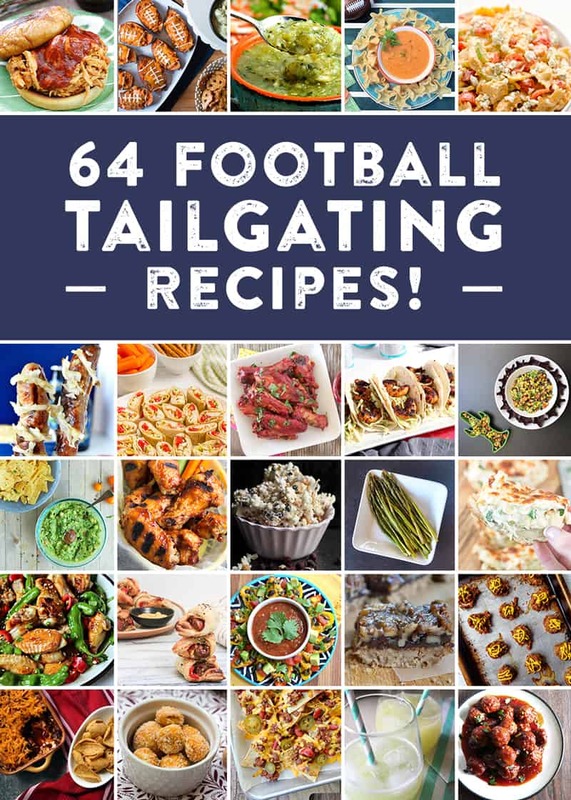 Let your slow cooker do the work! 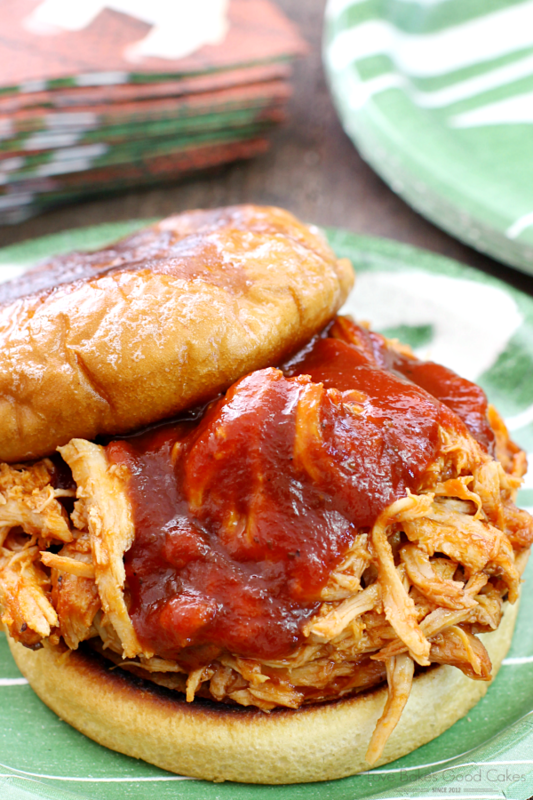 These Slow Cooker BBQ Pulled Pork Sandwiches are one of our favorite game day recipes! 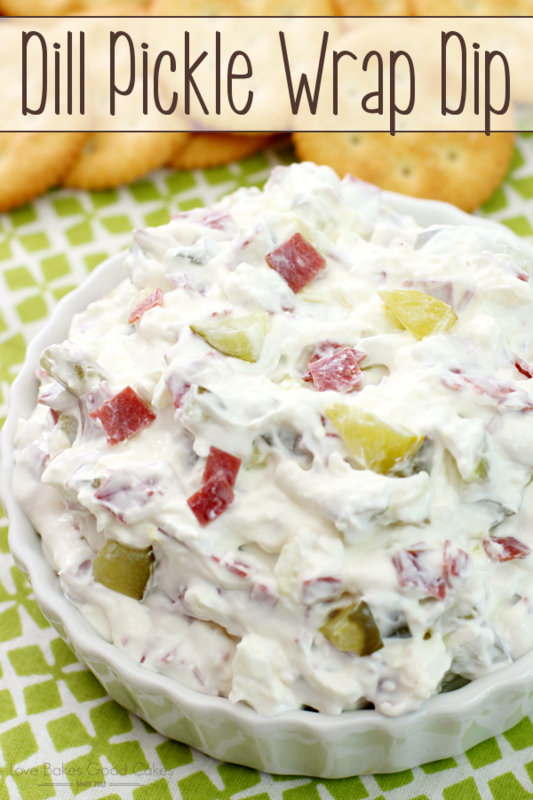 It’s so easy to make since the slow cooker does all of the work. I love that they free up my time to make other things or to watch the game. 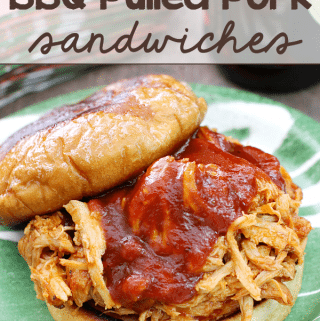 Of course, these Slow Cooker BBQ Pulled Pork Sandwiches also make a great weeknight dinner or something to share at a potluck! 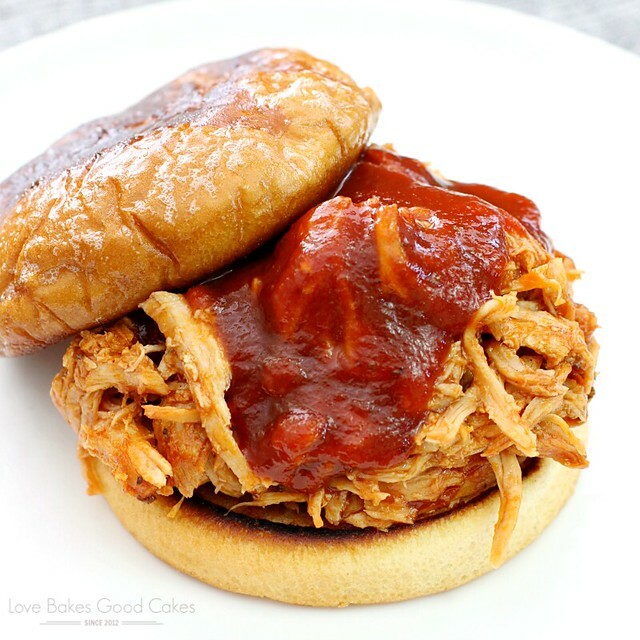 Sometimes, I use equal amounts of chicken breasts in place of the pork for BBQ Pulled Chicken Sandwiches … You just can’t go wrong with any kind of Pulled Meat Sandwiches! Place the pork tenderloin in a slow cooker. Pour the root beer over the meat. Cover and cook on LOW for 6 hours or until pork shreds easily with a fork. After pork is cooked, drain and discard the root beer. Shred the pork and place it back in the slow cooker. Pour the barbecue sauce over the pork and stir to combine. 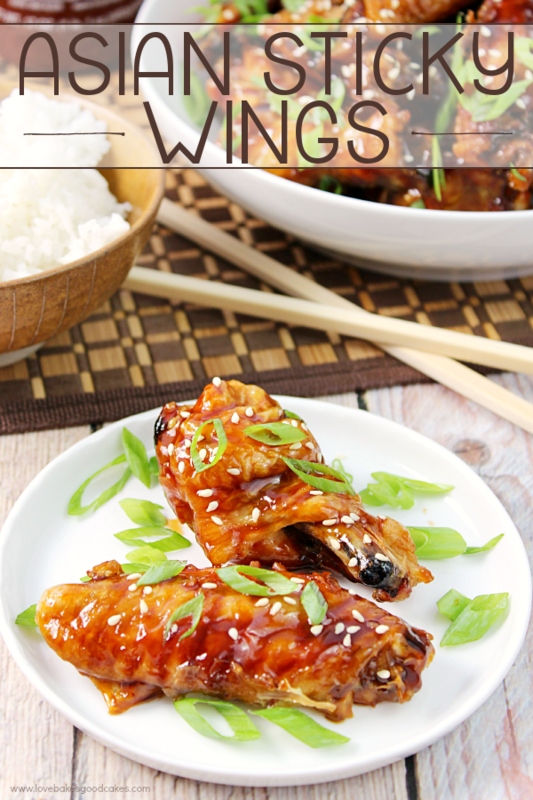 Serve immediately or keep warm in slow cooker until ready to serve. 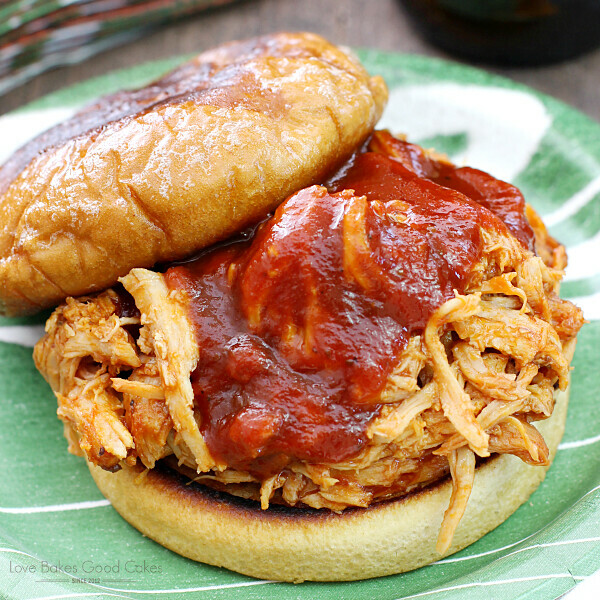 Serve on hamburger buns with additional BBQ sauce, if desired. Yummy! 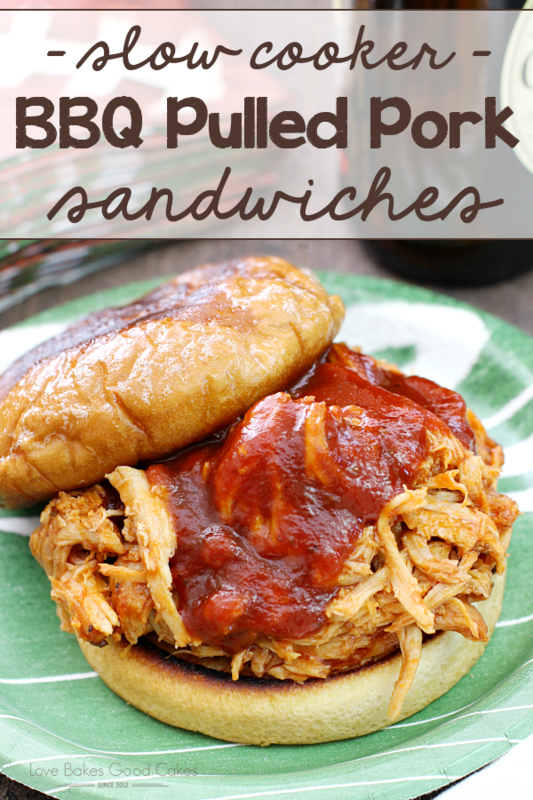 Pulled pork is always a favorite at our house! 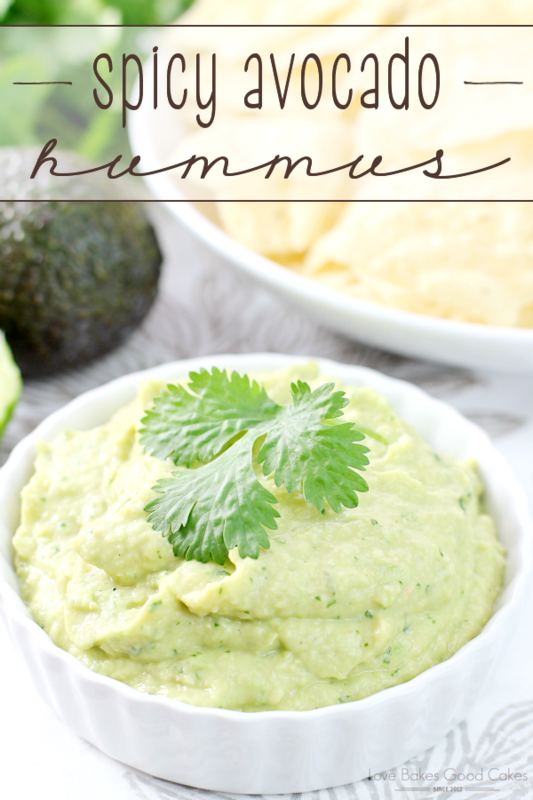 This really sounds fantastic and you can't beat the time and little effort to make it. Too bad there is no fast forward button so I could have it immediately!! !